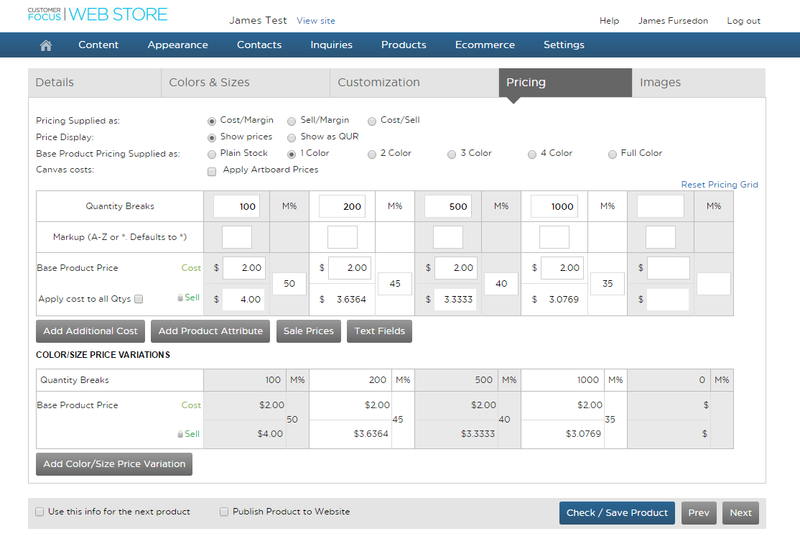 Each additional cost needs a customisation type associated with it in order for it to appear on the front of your store. This help sheet will explain how to add additional costs and customisation types to your products. 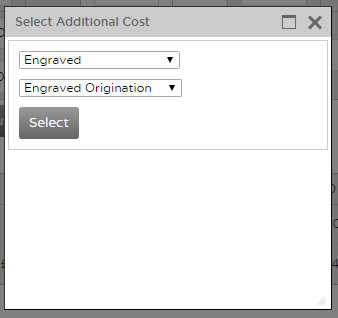 Select the appropriate additional cost, please take care to select the appropriate cost type for your customisation method and be as specific as possible. 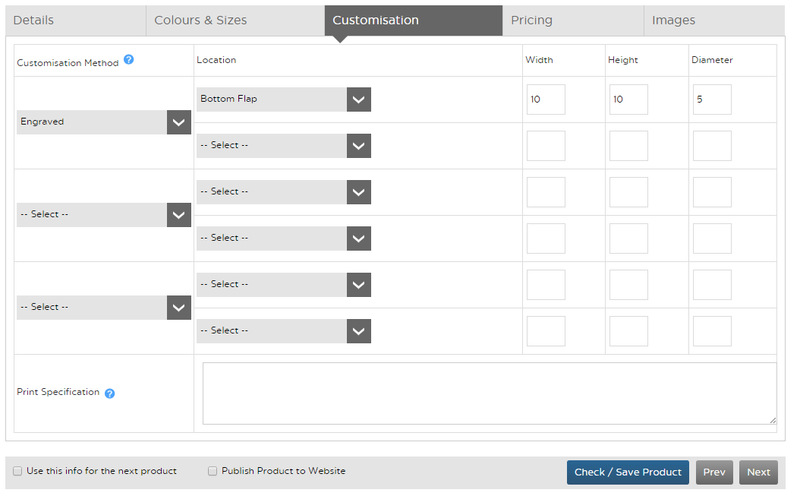 Select a customisation method from the dropdown list, it is very important that this customisation method matches the additional cost you added in step 3. Select a location and add in a width/height or diameter. Check the ‘Publish product to website’ box if you want the product to be live then click Check / Save Product.